The Witcher 3: Wild Hunt was one of 2015’s biggest games, and many consider CD Projekt’s masterpiece one of the best RPGs released to date. And another great feature of The Witcher 3 is the fact the game can be easily modded on PC, meaning there are a ton of user mods available that make interesting changes to the game. An example are those that make the game’s setting of Temeria prettier to look at, for instance, while other interesting mods such as this one let you enjoy The Witcher 3’s world in first-person perspective. But if you are on the lookout for mods that improve your gameplay experience, you might have wondered whether there are any available that let you get to places faster in the game. Because no matter how beautiful The Witcher 3’s fantasy land of Temeria is, you might want to get on with your current quest more quickly, especially on that second or third playthrough of the game. So, those eager for quicker in-game travel will find the “Fast Travel from Anywhere” mod a godsend, because as its name indicates this lets you fast travel from any point in the map without having to reach one of those pesky signposts first. Tired of looking for signposts in order to fast travel? With the Fast Travel mod installed, you won’t have to. A different take on fast travel comes courtesy of another mod, named “Geralt of Rivia’s Pro Witcher 3”. This adds a very fast sliding move to the game which lets you gets across the map much quicker, even if it admittedly those break immersion as this does feel like Geralt is riding on an invisible skateboard as you can see in the video below. 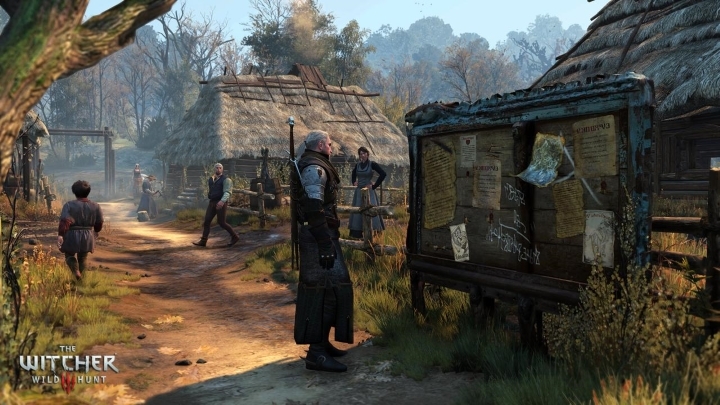 What’s clear though, is that these mods remind us there is something to suit all needs in the big world of Witcher 3 mods, so hopefully users will keep coming up with great new mods for CD Projekt’s game that add to the experience of playing this epic role-playing game.